Cave Story is a modern classic. Sadly, many people still haven't ever played it, even though it's been released on WiiWare, DSiWare, and the iTunes App store. That's probably partly due to its retro look. It's hard to generate hype for a new (to retail) IP that, at first glance, looks like a game from the '80s or '90s. 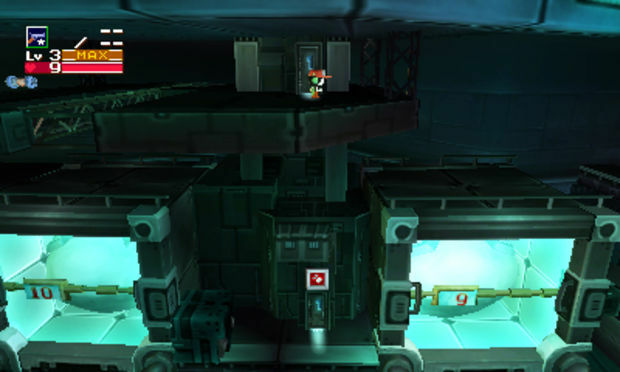 Enter Cave Story 3D, a re-imagining of the original title, made specifically for Nintendo's newest portable console, utilizing the "newest"-looking graphics available on handhelds today. Supervised by Cave Story's Daisuke "Pixel" Amaya, the spirit of the original title remains fully intact in this enhanced port. In many ways, this is the version of the game that Amaya-san always wanted to make. Any questions relating to Cave Story's quality have been answered several times here at Destructoid. The questions remaining to be answered in this review are: Is there enough new stuff here to warrant a re-purchase for those who already have the game? 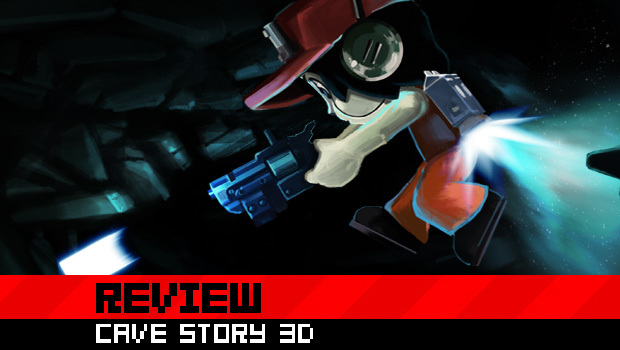 And out of all the available versions of Cave Story on the market, is this the best one to recommend to new players? Cave Story 3D exists almost solely because of its new graphics, so we might as well start there. The game looks really, really different now, to the point where it's almost unrecognizable. The original Cave Story was created by one person (graphics, music, story -- everything), and while it's an incredible piece of art, some parts of the game are stronger than others. It think it's safe to say that Cave Story's backgrounds are probably the aspect of the game that fans are least attached to. They aren't bad by any stretch of the imagination, but it's not hard to imagine that they couldn't be improved upon. With Cave Story 3D, Pixel got his chance to do just that. The settings and background graphics of Cave Story 3D are as close as we'll likely ever get to seeing what Pixel truly intended the world of Cave Story to look like. The differences here can be staggering. The Labriynth has gone from being a nondescript brown cavern with inexplicable floating blocks to an intricately designed network of high-tech elevators, littered with decay and half-destroyed dreams. Where there were once basic platforms, there are now gigantic statues, corroding passageways, and sparkling pools of water. The result of the full backdrop overhaul reminds me a lot of classic Disney films, where the detailed backgrounds lend a strong sense of place and "reality" to the game's events, while the simple and iconic give us characters that are easy to relate with. Screenshots do not do this game justice. You have to see it in motion running on the 3DS to really understand how nice it looks. The 3D effect does a lot to further drive that improvement home. I didn't turn the 3D off once during my time with Cave Story 3D, and for good reason. The game is still played purely on a 2D plane, but the team at Nicalis put in every effort to make the world feel three-dimensional. 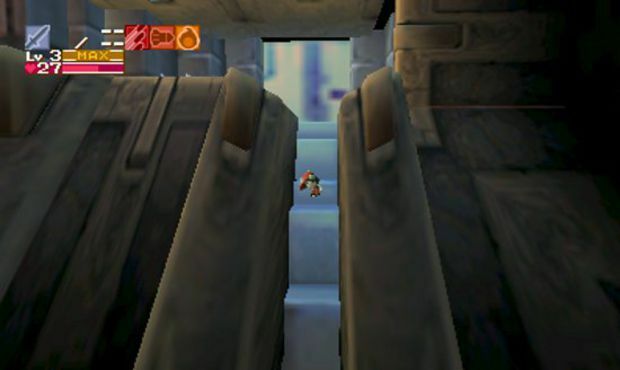 Tiny details lie in the background of nearly every stage, and objects in the foreground pop out at you with convincing strength. The camera is really smartly implemented as well, zooming in and out of the action at just the right times to imply a sense of intimacy, grandeur, intimidation, safety, or whatever other feeling may be appropriate for the scene in question. There are some drawbacks to 3D, though. For whatever reason, the game is generally pretty dark, so make sure you turn up the brightness on your 3D to the max. the screen can also get pretty cluttered at times, but thanks to the crystal-clear map on the lower screen, it just takes a quick glance down to figure out exactly what's going on.As for the backgrounds themselves, some of the more organically based areas don't translate to polygons that well. Grass doesn't always look like grass, some trees don't look like trees, etc. This is also true of the game's polygon-based characters. A lot of them look and animate fantastically, such as the protagonist, series co-mascot Balrog, and all of the big bosses. That's part of why it takes you out of the game so much when some of the enemies and a few of the NPCs just don't animate quite right, either with stiffness, or that "gliding" walk animation that has haunted many an animation student in the past. It's barely noticable, but it still stood out to me. If I didn't have the original title and the WiiWare remake to compare them to, there is probably no way I would have even noticed these little issues, but that's Cave Story 3D's dillemma in a nutshell. It's impossible not to compare this remake to the near-perfect versions of the game already available on multiple platforms. Thankfully, Pixel and the team at Nicalis were aware that not all fans may want fully polygon-based characters in their Cave Story. 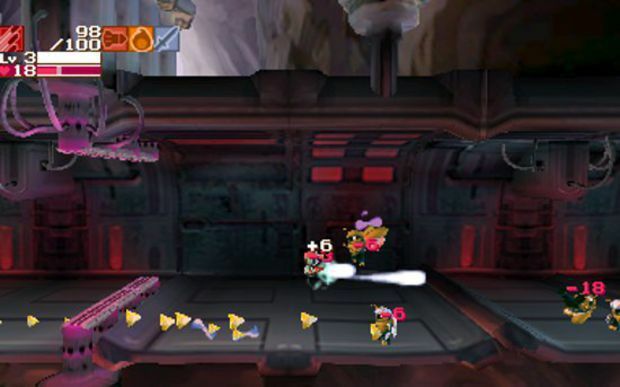 The game has a mode that can be selected at the title screen that allows for it to be played with Pixel's original sprite-based characters in the polygon based-backgrounds. The results are really nice. The sprite-based characters are lit in real time just as the polygon characters would have been, which allows them to blend in seamlessly. As a huge fan of Pixel's original sprites, this is the version of the game I prefer, but it's definitely worth playing both versions to see for yourself. The graphics aren't the only thing to get an overhaul. 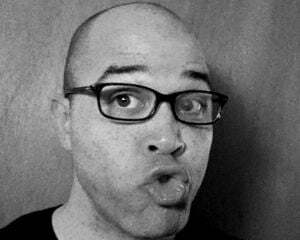 The soundtrack has also been remixed, by Dtoid Show award winner Danny B and Dustin Kulwicki. A couple of the remixes will probably come across as too different to some fans of the original arrangements, but the craftsmanship here is inarguably top-notch. The more ominious tunes in particular are much more intimidating and evocative now, which comes as no surprise coming from the guy who did the soundtrack for Super Meat Boy. Beyond the new graphics and sound, there are a lot of little tweaks. 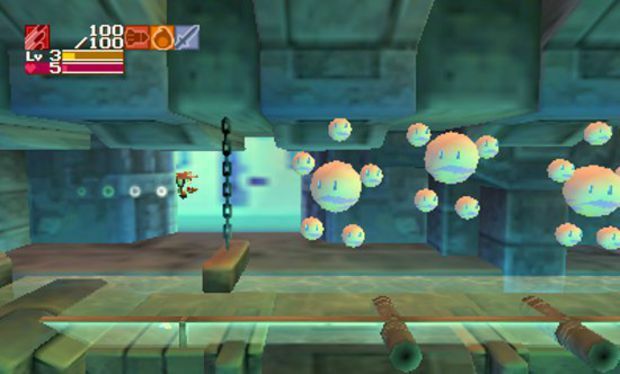 The platforming feels a little easier sometimes, there a lot more health pickups to be found, and most importantly to old fans, there are about four new areas to be explored. These new levels are all based on designs from the unreleased beta of Cave Story, but they've now been seemlessly integrated into the main game. Though they are a nice touch, only one of these areas stuck out to me as truly amazing. You'll know it when you play it. It's also the area that's also home to the game's new NiS-flavored surprise. Sadly, that's all there is for new content. Normally, that wouldn't be a big deal, as Cave Story has plenty of playtime and replay value. The problem here is that Cave Story 3D has to compete with $10 versions of the game that arguably have more content. The recently released Cave Story+ has the new graphics and music from the WiiWare version, an all new unlockable "gaiden" area called the Wind Fortress that features new enemies and bosses, and many of the other features from the Wii original. Most of that new content did not make it to Cave Story 3D. Also M.I.A. is the soundtrack player from the DSiWare version, one of my favorite features from that port. Again, if this were the only version of Cave Story that existed, no one would think to care about these "missing" details. 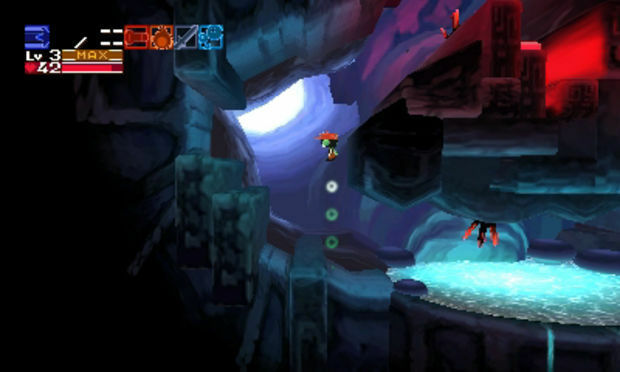 As with nearly every aspect of Cave Story 3D, its main problem is that fans of the original title have been spoiled by Nicalis and Pixel's previous efforts. 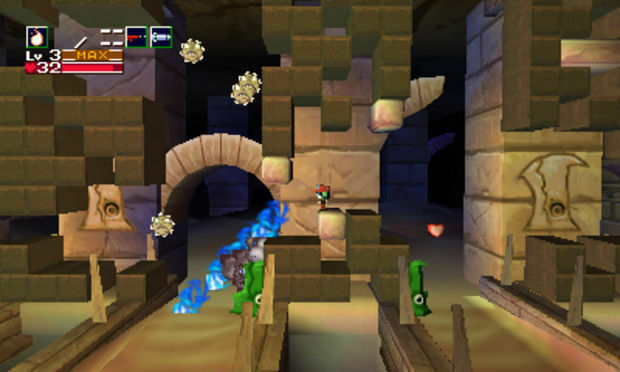 In the end, Cave Story 3D may be the best version of the game, but it's not necessarily the definitive version. You really need to buy Cave Story+ in addition to this title if you want to experience everything that Cave Story potentially has to offer. At $40, Cave Story 3D is four times more expensive than the other retail version of the game, which will undoubtedly hurt this iteration of the title in the eyes of many consumers. Knowing that a perfectly playable, attractive-looking version of the game is available on the eShop for $10 makes it hard to say that Cave Story 3D offers the best Cave Story bang for your hard-earned buck on the 3DS. It's still an amazing game, and it's definitely worth your time and cash, but budget-conscious consumers who prefer an 8-bit look may be better served by picking up the DSiWare version for a fraction of the cost. Either way, every 3DS owner should buy Cave Story. It's one of the best games ever made, in 3D or otherwise.